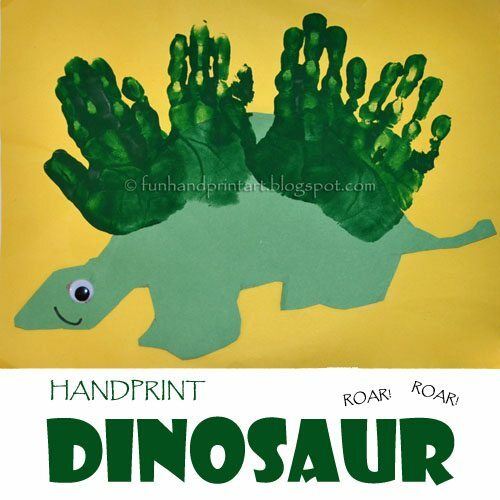 This adorable Handprint Dinosaur was made by my little guy in his preschool class. He cut the dinosaur silhouette from green construction paper, glued on a googly eye, and drew on a mouth. His teacher helped him make 4 handprints on the top of its back. The dinosaur would look cute in any color or even with spots!